For the 2018 model year, the number one selling model is the Corvette Stingray Coupe. The 2018 Chevrolet Corvette Stingray Coupe is so popular that it accounts for almost half of Corvette production. The 2018 Chevrolet Corvette Grand Sport Coupe is another popular model from 2017, and it is being produced just as much and as quickly as the Z06 Coupe which had 24.3% of 2017 Corvette production. 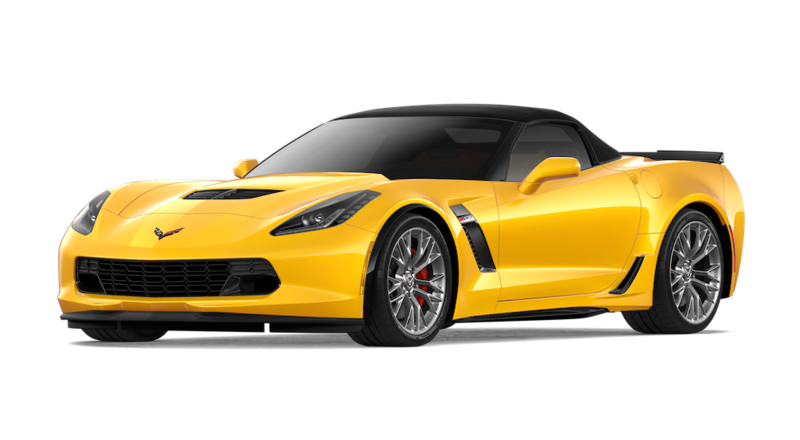 These are the following Corvette models that are available: The Z06 Convertible, Z06 Coupe, Grand Sport Convertible, Grand Sport Coupe, Stingray Convertible, and the Stingray Coupe. The 2018 Chevrolet Corvette model enthusiasts are already excited about the upgrades, changes, and new stats. It’s a reminder of how unique their Corvettes are. The 2018 Chevrolet Corvette Stingray Coupe is the entry model always enhanced with a trim package that buyers are excited to buy. The top trim package is the 1LT which comes equipped with what many 2018 Chevrolet Corvette buyers are looking for. Fans of the 2018 Grand Sport prefer the 2LT over the 3LT and 1LT packages. Buyers of the Z06s loved the 3LZ trim packages, even more so than the 2LZ and 1LZ. The 2018 Chevrolet Corvette saw many changes and updates, including new technological features. All models now have the following enhancements: HD digital radio is standard, as is The Cosworth Toolbox, and the Performance Data Recorder with four additional data channels. As well as an improved rear-view camera featuring a much higher resolution and even wider angle, and finally an enhanced Head-Up Display rotation setting. Changes to the 2018 Chevrolet Corvette also included more comprehensive data points which can control individual wheel speeds, suspension movements, yaw rate, and air temperatures. These all working together for the Performance Data Recorder. The 2018 Chevrolet Corvette Z06 was fitted with a much better backup-camera feed and improved head-up-display adjustability. The always popular Magnetic Ride Control with adaptive suspension, you can now get as a stand-alone option. The buyer is no longer required to purchase the Z51 performance package to get their hands on it. entertainment you love and the information you need with the touch of a button. The built-in 4G LTE WiFi, along with touch-screen display, allows you to keep in touch with text messaging, play your favorite music and more. You’ll want to listen to music too, through the Premium Bose audio system, and using the SiriusXM Satellite Radio that comes with one complimentary year of service. The drop-down center screen has with it a storage area with accessible USB port, audio input jack, and Bluetooth 3.0 wireless technology for easy streaming. The 2018 Chevrolet Corvette is surprisingly fuel efficient for what might be considered a gas-guzzling sports car. EPA-estimated 23 highway MPG in a muscle car is outstanding! The combined is 16 mpg which is still high considering it comes standard with an eight cyl, 6.2 L Automatic. The 2018 Chevrolet Corvette and sports cars like it are not typically known for being fuel efficient, but this can be a misconception. Typically, buyers aren’t looking for fuel economy when shopping for a sports car, but it’s nice to know that Chevrolet is working to make all of their cars more fuel efficient across the board. Acceleration in the 2018 Chevrolet Corvette can lead to euphoria. A 6.2L V8 engine provides up to 460 horsepower, with available 465 lb-ft of torque. It will go 0 to 60 in 3.7 seconds. You can choose a 7-speed manual with Active Rev Matching, or an 8-speed paddle-shift automatic transmission. Prepare to be thrilled when getting behind the wheel of this precision sports car. The driver-centric cockpit will make you feel as powerful as it is, and it truly “drives like a glove.” The Stingray has a flowing design made from premium materials. Keep in mind all of those intuitive instruments that help you stay focused, also look nice while they are doing their job. You can enjoy all that power sitting in heated and ventilated front seats with dual climate control. The 2018 Chevrolet Corvette lineup also boasts the mighty 2018 ZR1 as well, and the Carbon 65 special edition if you are ready to be blown away. And if you still want more than that, the Z06 is a 650-hp supercharged V-8. Even if you do go with the standard Stingray trim, the 455-hp 6.2-liter V-8 is still one of the most amazing engines on the market today. Not just with the 2018 Chevrolet Corvette Stingray, but with other models, Chevrolet has seriously upped their game. The overall design of the sports car is updated and flashier. Chevrolet added five new wheel choices, one with a yellow stripe, and a handful of new interior and exterior color combinations. Here are some of the colors you can choose from Arctic White, Black, Torch Red, Watkins Glen Gray, Ceramic Matrix Gray, Ceramic Matrix Gray, Admiral Blue, Long Beach Red, Blade Silver, Corvette Racing Yellow, Black Rose, Corvette Racing Yellow, Black Rose, and Sebring Orange. The interior is something to write home about, with the GT seat available in premium Napa leather seating surfaces that comes with the 3LT trim level. You can get the Competition Sport seat, with pronounced side bolsters. You will appreciate the precision hand stitching that is available in a variety of accent colors. Buyers love the look of the lightweight aluminum and carbon-fiber trim which add another level of refinement. And every sports car driver knows the appeal of a flat-bottom steering wheel that enhances the driving experience. And yes, these Corvettes are convertible models featuring fully electronic tops that can be lowered remotely, and even when the car is still moving. The functional hood air extractor reduces front-end lift. While sculpted Bi-Xenon HID headlamps give the desired amount of light out of both high and low beams. One of the best parts of our job at Carl Black Chevrolet of Nashville is talking cars with other car-lovers. We can’t wait to spend the day chatting you up about the 2018 Chevrolet Corvette! Our inventory is fully stocked with all the most popular models and the best trims available that include all of the features you are looking for in a sports car. 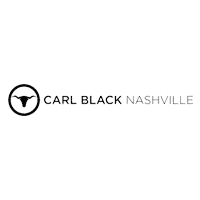 At Carl Black Chevrolet of Nashville, we stand by our promise that your pleasant buying experience is our ultimate goal. Our highly qualified and dedicated team of dealers consider you, the customer, our highest priority. Each one of our vehicles is put through an extensive inspection process. We understand how important quality in an automobile is. That’s why we are a Chevrolet dealership. You just might find your dream car waiting for you here at Carl Black Chevrolet of Nashville. With all of these Corvettes in stock, it’s worth it to at least come into the showroom and test drive one. Come visit us at 535 Murfreesboro Road in Nashville and meet with a member of our team. We look forward to helping you!